Let's face it--the future of direct mailing equipment lies in the technological advances. The inserter camera verification systems for mail matching, read-print and output verification are at the very forefront of those advancements. 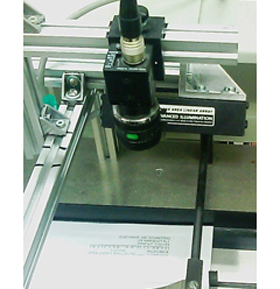 Camera verification systems can also be installed on stitchers, collators, and even on web or continuous forms. Intelligent inserter matching (which is the process of matching personalized documents on inserters) uses cameras to scan documents to be sure that they match other personalized documents. The cameras can scan a printed barcode, 2D, a number, or even full names and words! The cameras feed the read into the controller, which recognizes, organizes and verifies that the match is correct or that the records have all been processed accurately. If there is a mismatch, missing piece, or missing record the computer notifies the operator or shuts the inserter down. This basic concept leads to incredible opportunities and ways to read, print, verify accuracy, and track any single piece of mail throughout the assembly process. But investing in new inserter read-write (or inserter read-print) equipment isn't always the easiest thing. Mailers should have a clear idea of why they are investing, what inserter verification will do for them, and how they will be able to receive a large return on investment. Part of the decision will also involve the function of the equipment…do you want to match documents, inkjet inline with the inserter, do sequence audit at the output (to be sure the list printed in the right order), or compare processed records to the original database? You also need to decide what mark the cameras will be reading…will you print barcodes, a 2D, a numerical code, or will you just read a name? Will you be using inserter verification system just on your inserter, or will you need to be able to move it to a stitcher, collator, web, or some other equipment? That's where Addresser Based Systems can help. Call our representatives now, and we'll help you find the mailing equipment that will best suit your needs... or upgrade to a inserter matching system that will handle your workload as well as open new job markets for you. 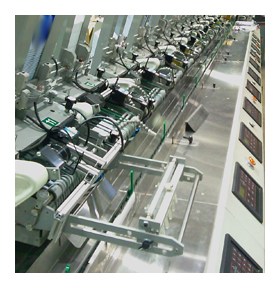 CLICK HERE for more information on mail matching and read and print inserters! See The Lake Image System in Action!